ARC'TERYX Arc'Word Heavyweight SS T-Shirt. 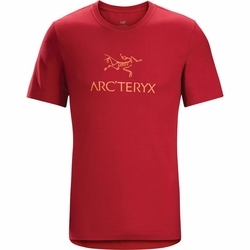 Heavyweight organic cotton T-shirt with the Arc'teryx logo. Heavyweight organic cotton T-shirt with the Arc'teryx logo front and center.